Every customer has media requirements that they need fulfilled. 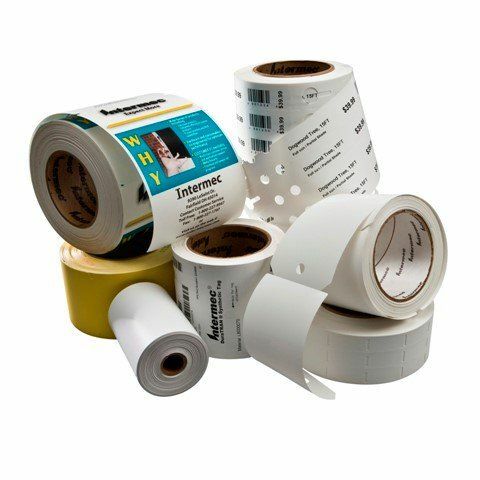 From stock labels and ribbons for their barcode printers, RFID labels, to preprinted labels for label applicators, Integrated Barcoding can help provide you with a one stop source for these label printing needs. You need to have someone who knows that matching the proper label adhesive to the surface that you are applying can be the difference in labels sticking for years or falling off within the hour. We have been providing media solutions to our customers since 1988. Contact us and we will be glad to work with you and give you a quote.